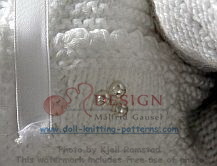 For a long while I have been thinking that I should like to knit some doll clothes in white cotton yarn! 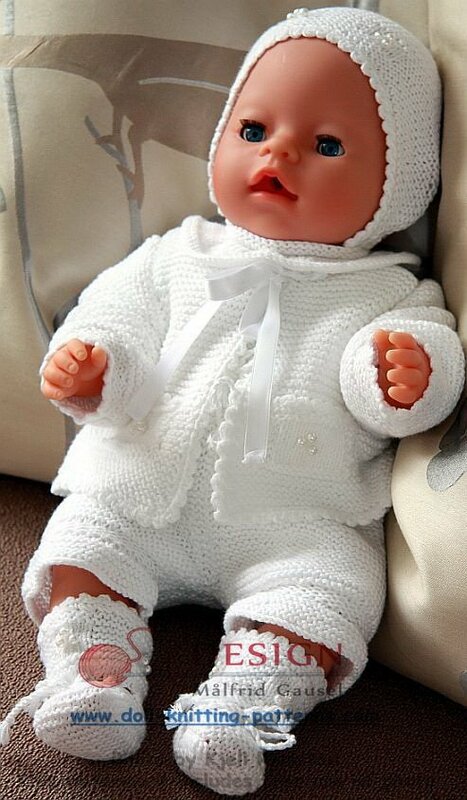 I think it is so delicious to dress a baby in white clothes. This also gives me good memories back to the time when my own kids were small and dressed in beautiful color, especially white! 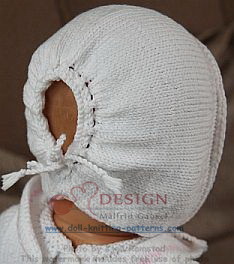 I am very fond of ridge stitch and decided to use that this time. I also thought it could be nice to use small squares in plain knit and some pearls in the middle of these. The edges are crocheted with picots. 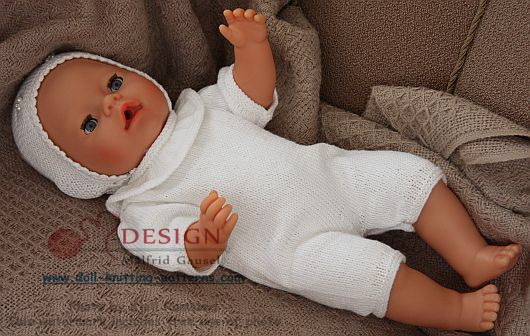 I hope you will have a good time while knitting these small clothes, and that you will be happy when you have finished them all for your own special "Baby Doll"! I think, where ever you live in the world, if you love this pattern, and you want to make your child or grandchild happy. Little Baby doll will be the good choice.